At a time when our politics are puzzled by people and politicians’ petty interests, if you ask me which Nepali book I recommend that a politician, a leader, a bureaucrat, a lawyer, a journalist, a husband or a father should or must read, I suggest you read Nyaya, meaning “Justice” by Shushila Karki, a former chief justice of Nepal. I even suggest miscreants read this book. If you read this book, cleanse yourself in your attitudes, and maintain honesty and integrity in your profession, you will have already appeased your God, let alone your frequent temple visits to offer flowers to make your God delirious. Just follow as the book asks you to behave. This book is an epitome of naked evidence that shows how the politicians’ corrupt acts play an instrumental role to influence the judicial system of Nepal. Karki’s thirty years plus experience in the area of judiciary ranging from being a lawyer to the chief justice of Nepal profoundly and cinematically displays the stupidity of people in power. According to Karki, it is unfortunate that politicians became unwise, inhuman, selfish, corrupt, and despotic, which is metaphorically speaking not less or even more than those who reigned in the Panchayati system. They sold their own humanity and honesty in the name of good leaders of the nation. When you read the book, for example, Puspa kamal Dahal aka Prachanda, Lokman Singh Karki, former chief justice Gopal Parajuli, Jaya Prakash Prasad Gupta, and so on (We can add more people recently Lucky Sherpa, Om Bikram Rana…) display their true self of their dishonesty and despotism, let alone to address the problems of the nation, to bail the country out of poverty and injustice. Karki brings out so blatantly that the malpractices within the judicial system are practiced by some judges themselves and how politicians abet those malpractices to address their personal interests. The book shows that corruption, favoritism, and nepotism are rampant in politics, bureaucratic institutions, and even in the judicial system that have marred the country’s progress. It is sad that the executive body proactively tries to directly influence the court and even in the selection of the Supreme Court’s judges by interfering with the “separation of power” which is crucial for the country to succeed. Karki is not sad at her impeachment because she knew what she did was impeccably flawless. After reading the book, some of the scandals and cases filed in the Supreme Court, such as Sudan Ghotala Kanda, Silwal Case, and others Karki mentions reflect the ministers’ shameful and repugnant involvement. However, Karki also provides a list of good people who truly remained examples for her to follow. Karki calls such shameful manners from so called leaders into questions. She paints the true picture of present politics by exploring these malpractices as diseases that demote the right and promote the wrong and asks journalists/journalism as the fourth state of the nation to be accountable for honest investigative reporting. 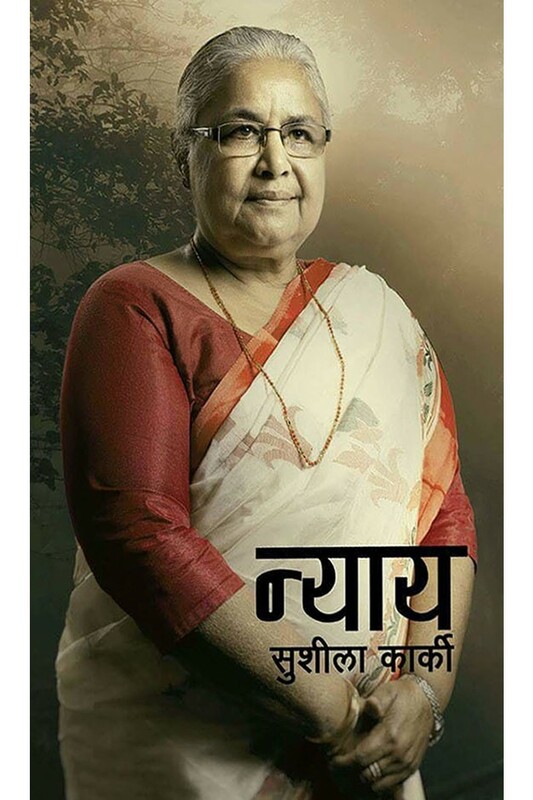 Although there are some repetition of ideas at times and some ideas that could be stated in a few sentences, the book is also an overview of her upbringing, her memories of the Panchayat system, her career and the relationships that show how they shape who she was, is, and will be. The book is also evidence of how one can remain honest throughout if one truly thinks on behalf of the nation and the nationalities. Before closing, here are some of the quotes from what Karki writes verbatim that are useful to contemplate to bring change in ones’ actions. However, this cannot sum up what Karki has written in a 360 page book. Previous बम्जनलाई इश्वर मान्दा आश्रमलाई बेश्यालय बनाए अब के बन्छ मेरो देश, नेता मान्दा तपाईंहरुलाई ?